Rocking with the Cannabis Corpse! Hello metal lovers and weedheadz! 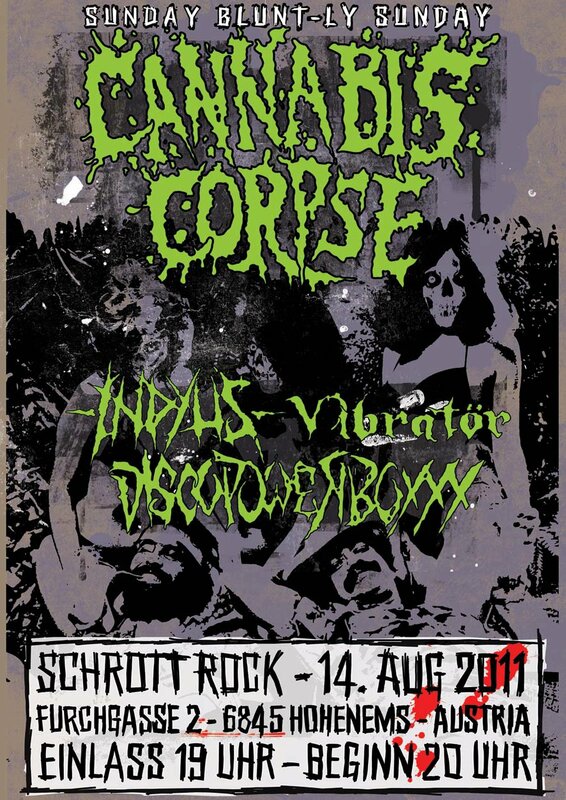 Your lovely Discopowerboxxx is going to rock the stage with Cannabis Corpse (US), Indyus (AT) and Vibratör (AT). This entry was posted in General and tagged Cannabis Corpse Hohenems Schrott Rock on July 6, 2011 by admin.